Two engines, no doors, no problem. If you’ve ever tried buying a mail truck from the prestigious United States Postal Service, you’ve probably been met with disappointment. The USPS generally doesn’t let anyone buy its aging Grumman LLV delivery vehicles, but that doesn’t mean it’s impossible to get your hands on a mail truck. 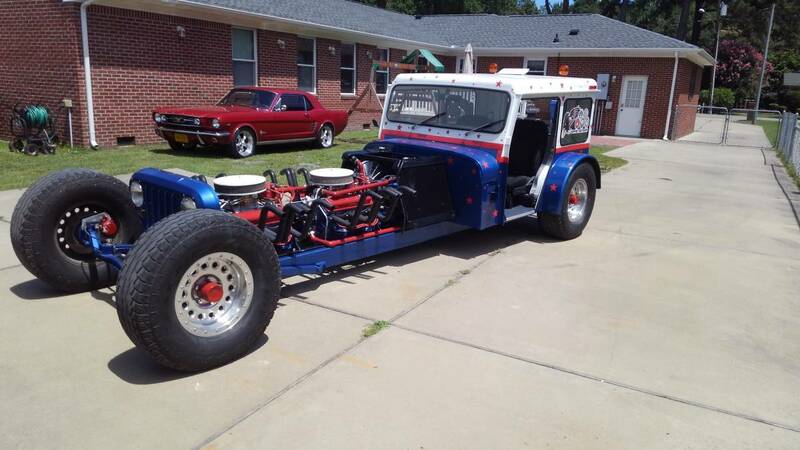 Up for sale right now on Richmond, Virginia's local Craigslist is this 1983 Postal Jeep that’s been heavily modified and is powered by two Chevy small block V-8s in tandem—proven to be much quicker than the original Pony Express. 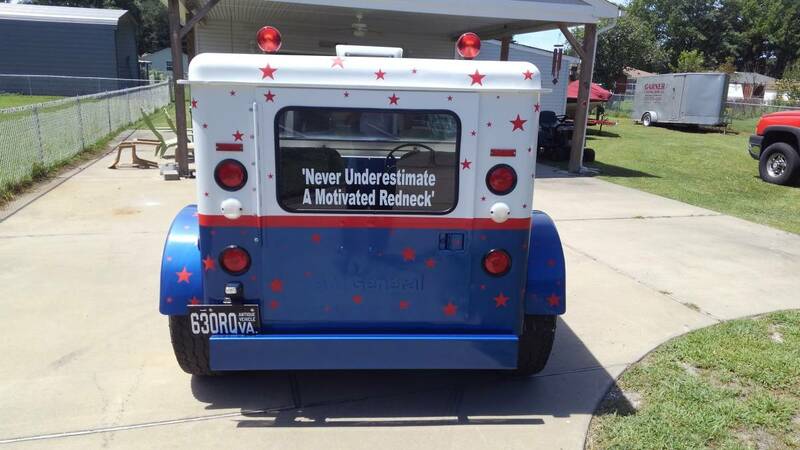 First, a little history on the Postal Jeep. Before the USPS started using the Grumman LLV mail trucks that you still see on the road today after almost 30 years of service, it used the Jeep DJ, also known as the Jeep Dispatcher. It was a rear-wheel-drive variant of the Jeep CJ series and they were used by the postal service starting in the mid-1950s. This being a 1983 model makes it a DJ-5M, the final iteration of the DJ, and it was originally powered by a 2.5-liter AMC inline-four linked to a Chrysler 904 transmission. The one we’re looking at here is quite different from what it once was. 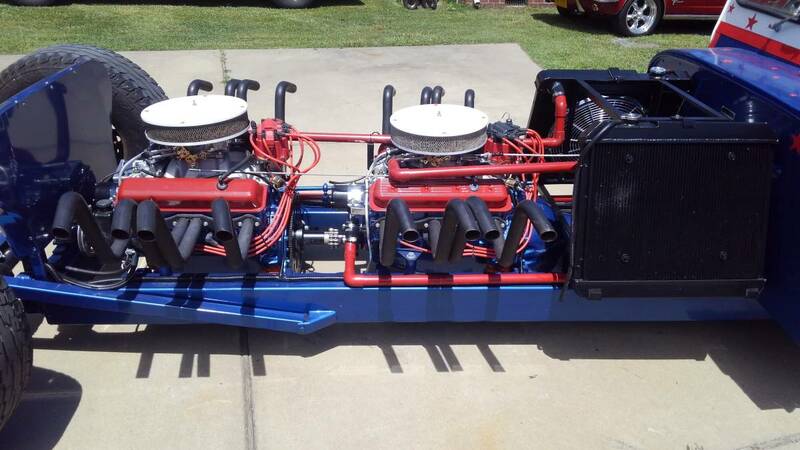 This baby has a custom-built frame cradling not one, but two rebuilt Chevy small block V-8s. The owner says they’re “355s," but doesn’t specify from what vehicles they’ve been sourced. They’re linked to a TH-400 GM automatic transmission sending power to a rear end out of a 1993 Jeep XJ. 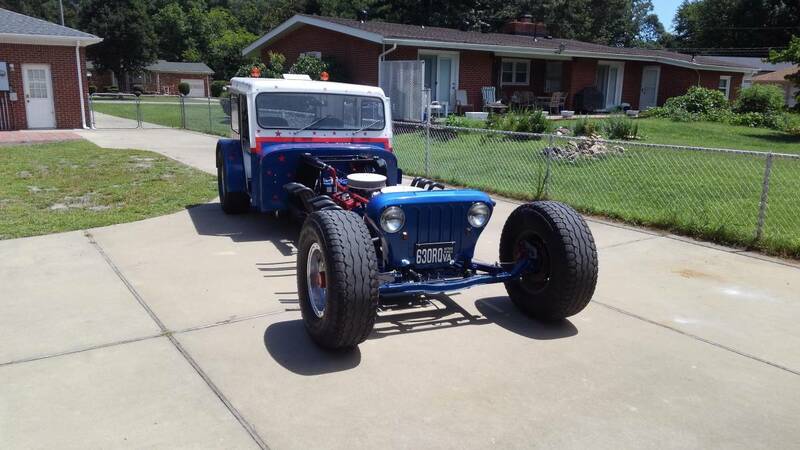 The power steering and the front axle are Ford sourced and it has disc brakes up front with drums in back. 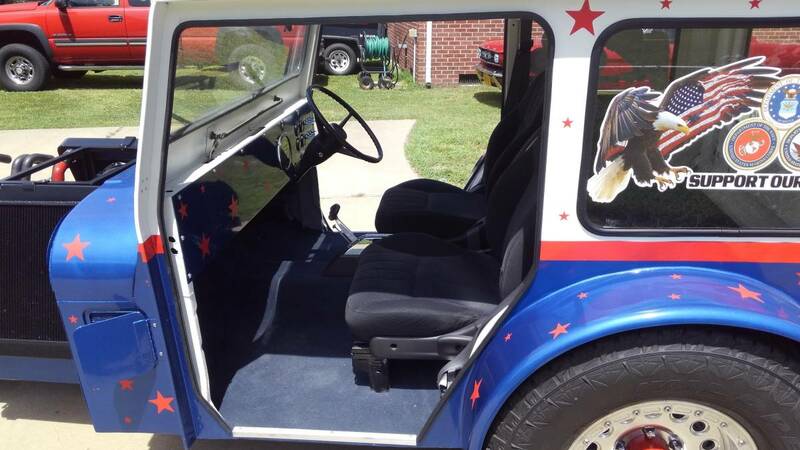 Being a mail truck, it’s right-hand drive and, being an old Jeep, it doesn’t sport any doors. The owner does have them available, but you’ll have to install them yourself if you want 'em. The whole thing measures 17-feet, 5-inches in length and the owner estimates it weighs around 4,000 pounds. There are no official power or torque ratings for this thing, but according to the description, it’s actually a great highway cruiser (as long as you don’t mind a lack of doors). The asking price is $15,000 with trades considered. If you want to stand out or if you’ve just always wanted your own mail truck, here’s your chance at achieving your dreams. Momentum is key when off-roading an old Grumman LLV. It's rusty, but it's cheap. You could pass it off as JDM. 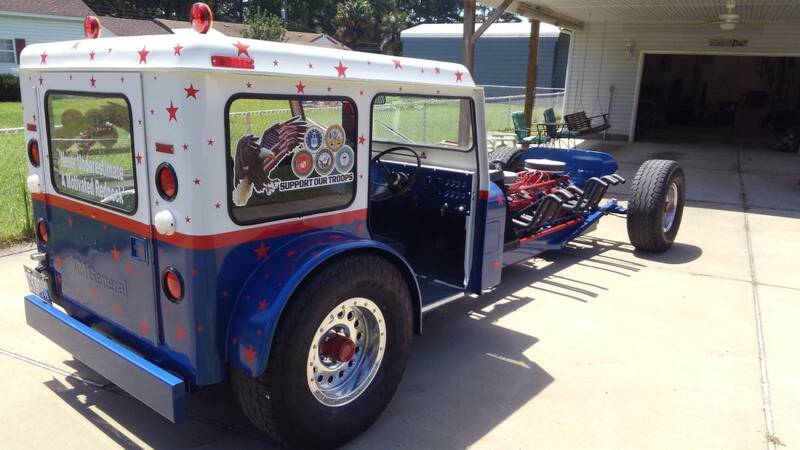 Own the most iconic American thing ever for less than $10,000. The USPS sees autonomous vehicles saving lives, time, and money. Residents of a Siberian city crowded around to witness their first drone delivery in action. Instead, the UAV crashed into a wall.